Traffic Ticket? A good lawyer can help, a great lawyer can win. An interlock is a breath testing device that is installed in your vehicle. In order to start the vehicle, a breath sample must be blown into the interlock. If the interlock detects alcohol, the engine will not start. As you drive your vehicle, you will periodically be required to provide breath samples to ensure there is no alcohol in your system. Who is required to have an interlock installed? If convicted for DWI in New Mexico, you will be required to install an ignition interlock device on every vehicle you drive for a minimum period of one year. 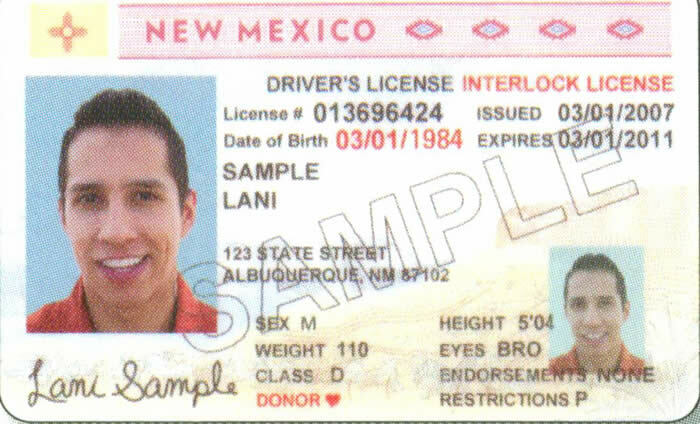 Additionally, if your license is revoked for violation of the New Mexico Implied Consent Act, you may apply for an interlock license. What is an interlock License? If convicted, the court will order you to obtain an interlock license. This is a special driver's license that prohibits you from driving a vehicle without an interlock device. If you have an interlock license on record, and are pulled over by police in a non-interlock equipped vehicle, you will be arrested and charged with driving on a revoked driver's license. You may also be in violation of your probation. in either event, you will face serious jail time. How much does an interlock cost? Prices for interlock devices vary, but the average cost is $75.00 per month for the device. Installation costs average $100.00. You can obtain an interlock license at any State MVD field office. The annual fee for the license is $113.00. To apply, you must have proof of identification, an ignition interlock contract from an authorized provider, proof of insurance and a notarized MVD Ignition Interlock Affidavit.